The Nigerian Army revealed that close to 1,000 hostages, mainly women and children, have been freed following a massive week-long battle against Islamic radical group Boko Haram in northeastern Nigeria. "ARMY RESCUES OVER 1000 BOKO HARAM CAPTIVES. 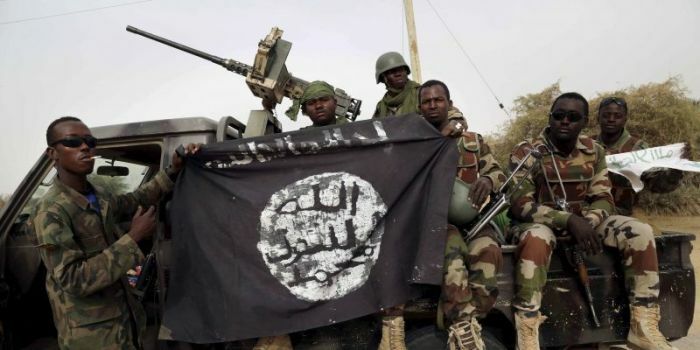 Troops of 22 Brigade deployed in operation LAFIYA DOLE has rescued over 1000 hostages from the Boko Haram Terrorists enclave," the Nigeria Army official Twitter page announced on Monday. "The hostages consisted mainly of women, children as well as some young men who were forced to become Boko Haram fighters," it added. "Speaking with one of the rescued victims, Alhaji Gambo Gulumba from Amchaka village, thanked the Nigerian military for showing them love and care." Nigerian Christians and Muslims have been suffering attacks by the radical group since 2009, which has at times managed to take control of entire villages and towns. President Muhammadu Buhari has vowed to completely drive the terror group out of the country. "We wishes to remind the public of its resolve to rout out BH & rescued all hostages. The public is also advised to report any suspicious character to the appropriate authority for prompt action. However, the rescued persons are being attended to in a military medical facility." Army spokesman Texas Chukwu told CNN on Tuesday that the week-long operation in Borno state also resulted in the deaths of 50 militants. The terror group has kidnapped thousands of women and children in several raids over the past few years, including 276 schoolgirls from Chibok in Borno in 2014. Earlier this year, Boko Haram also carried out a mass kidnapping raid on a school in Dapchi, Yobe state. More than 100 of the schoolgirls were later released. One girl who remains in captivity is 15-year-old Leah Sharibu, a Christian who reportedly was offered her freedom if she denounced her faith in Jesus Christ, but refused to do so. "I am so proud of my Leah because she did not denounce Christ," her mother, Rebecca Sharibu, told persecution watchdog group Open Doors USA last month. "And because of that, I know God will never forsake her. When she went away to school, I gave her a copy of the Bible so she could have her personal devotions even when I am not there. As her mother, I know her to be an obedient daughter, respectful and someone who puts others before herself." Despite the significant success in Borno over the past week, a United Nations envoy has warned that Boko Haram is still years away from being eliminated. "Boko Haram has proven to be a resilient group ... I think it will take time to totally eliminate," Muhammad Ibn Chambas, special envoy to the U.N. secretary general for West Africa and the Sahel, told AFP. "What we are seeing is that Boko Haram has become part of an international terrorism network." Chambas was referring to the way the terror group has managed to spread out to other neighboring countries, namely Cameroon, Chad and Niger. Governors from the three nations, along with representatives from Nigeria, recently met for two days to discuss regional cooperation, along with peace building and sustainable development in the area.